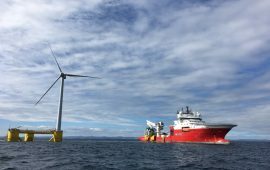 Global Offshore, part of the Global Marine Group, has completed the installation of the export power cable at the Kincardine floating offshore wind farm in Scotland. 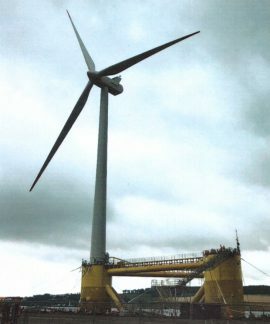 A fully assembled floating wind turbine has left the Port of Dundee in Scotland to be installed on the Kincardine floating wind farm located around 15 kilometres south-east of Aberdeen. 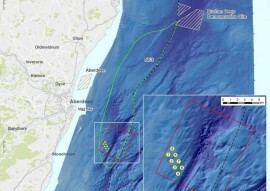 On 15 May, the Scottish government approved the variation application submitted by Kincardine Offshore Windfarm Limited (KOWL) in November 2017 for the floating wind project to be built some 15 kilometres south-east of Aberdeen. 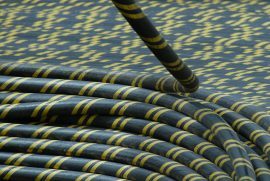 Prysmian Group has won a new contract with Cobra Wind International Ltd to provide the cable system to connect the Kincardine floating offshore wind farm to mainland UK. 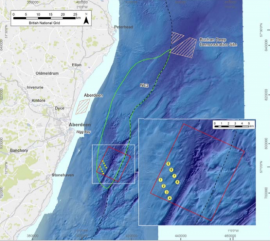 Marine survey company Partrac Ltd has been awarded the contract by Kincardine Offshore Windfarm Limited (KOWL) to monitor oceanographic processes at the site of the Kincardine floating wind farm located 15 kilometres south-east of Aberdeen. 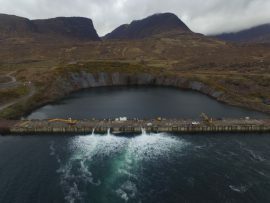 Kincardine Offshore Windfarm Limited (KOWL) has opted to use Kishorn Dry Dock in Strathcarron, Wester Ross, during the construction of the 48MW Kincardine floating wind farm.